IRON SCROLL a masculine and unrefined style. 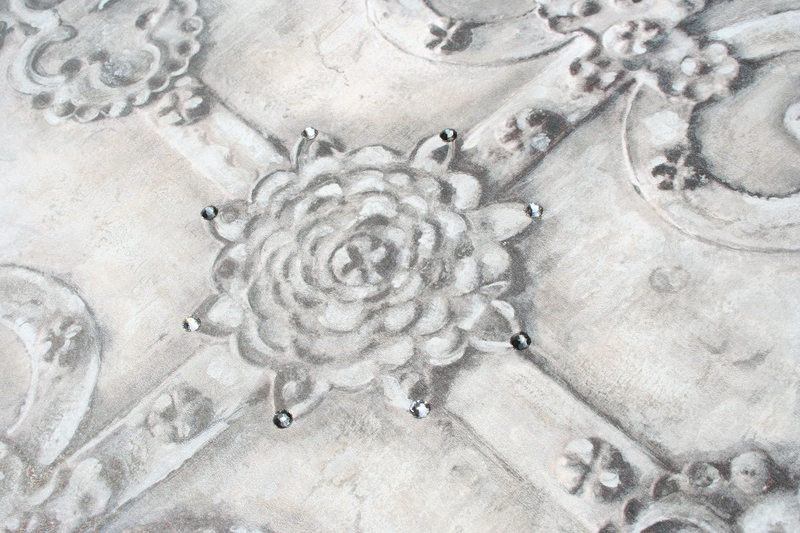 An exciting hand painted impression by our in-house designers, of a weathered Iron wall panel, dating back to the 1800’s with the application of classical scrolls, fleur de lys style patterns and floral designs. 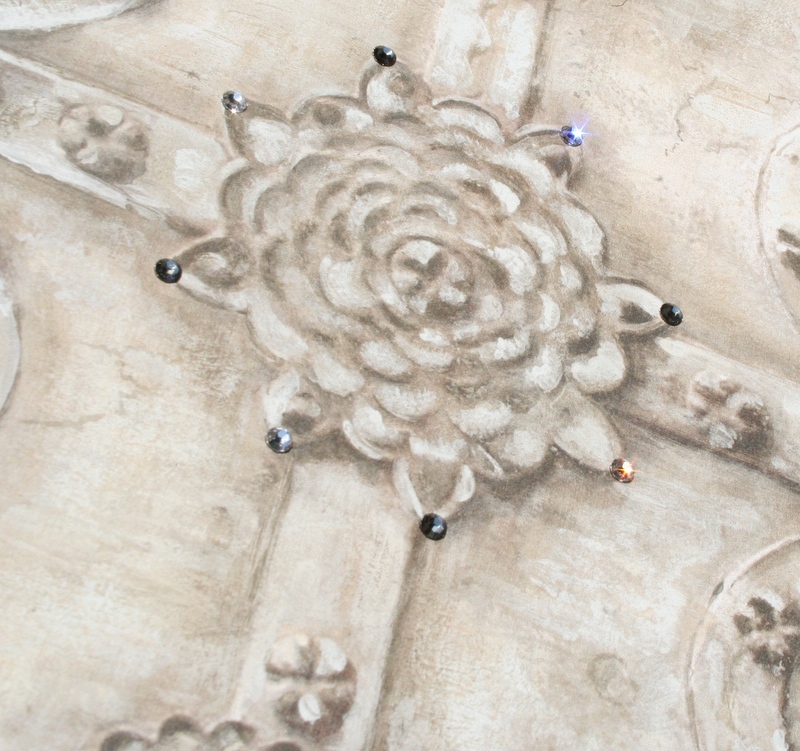 Also available with a delicate cluster of diamond black and Silver SWAROVSKI ELEMENTS.